(2014/Teensville Records) 33 Titel (80:12) mit 12 Seiten Booklet (englisch). 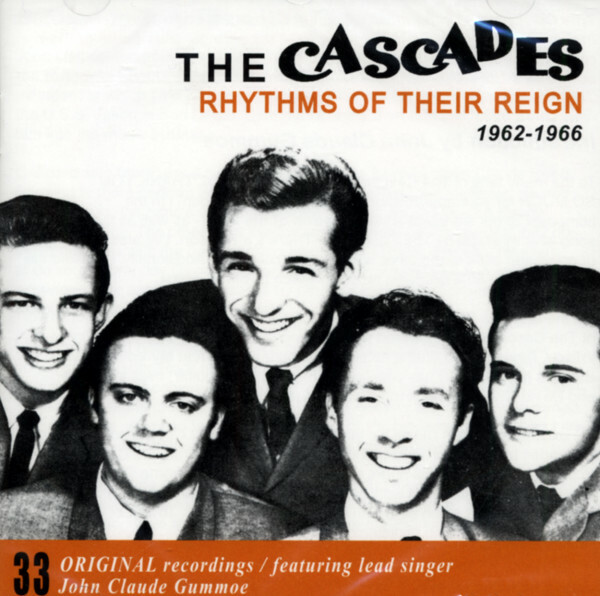 The Cascades are best known for their classic song 'Rhythm of The Rain,' but they did many more fantastic recordings. 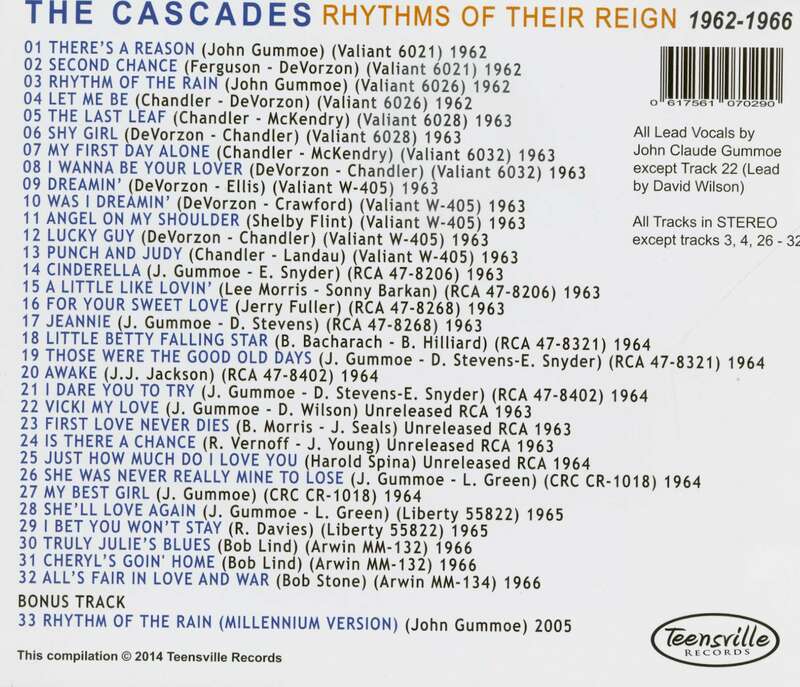 There are thirty-three tracks in tota plus a fantastic twelve-page booklet with label scans and rare pictures! 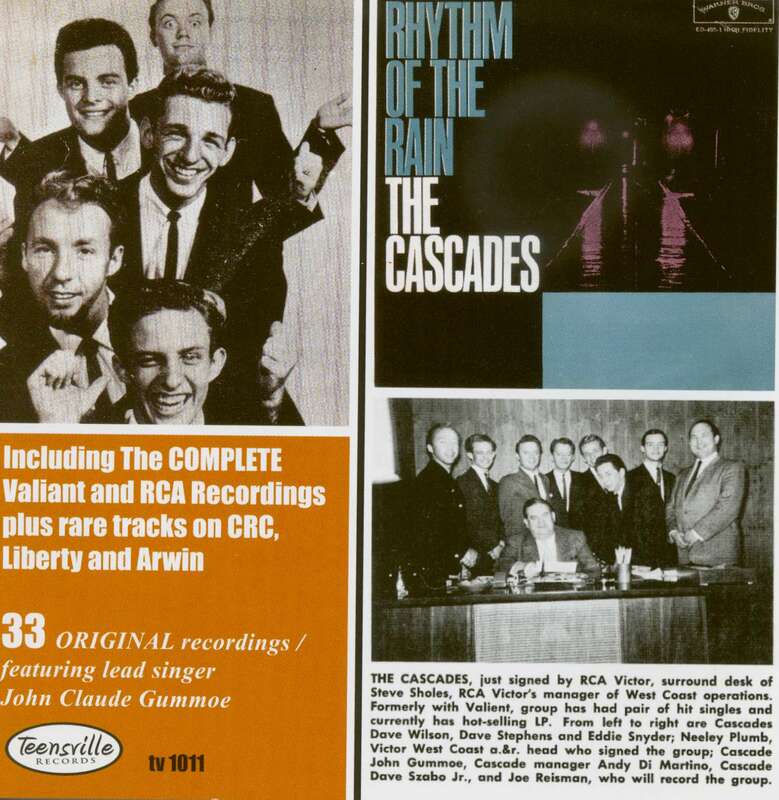 The special introduction for this package is provided by the one and only John Claude Cummoe - original lead singer of THE CASCADES. Kundenbewertungen für "Rhythms Of Their Reign 1962-1966"